When it comes to finding a home in Downey, CA, Juan Delacruz from Century 21 My Real Estate is an expert. He’s also an excellent example of the savvy business marketing we recommend to our customers. 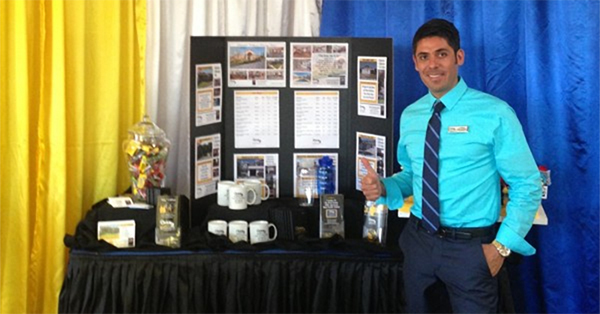 By creating a strong visual presence and handing out useful items, Juan was a favorite at the event held at the local Chase Bank. 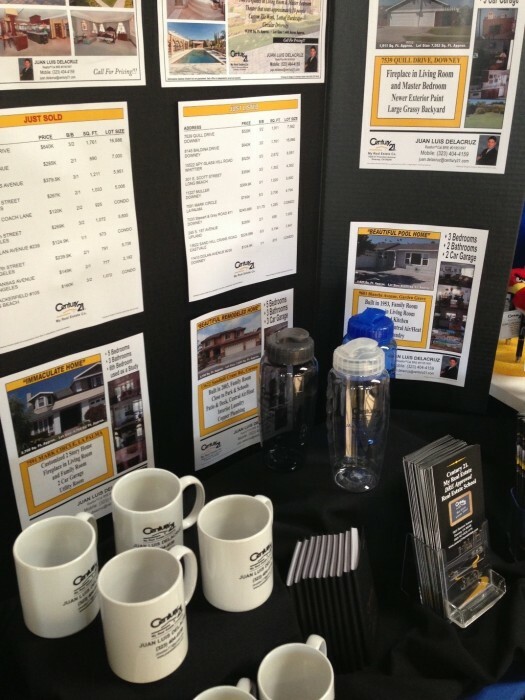 The pictures he sent look great and the imprinted promotional products from Myron he gave out were a hit! Myron is very proud to have been a part of Juan’s success story. Do you have a special experience with our products you would like to share? We’d love to hear about your “Marketing Moment”. Contact us at ecommerce@myron.com.